"IF IDLE HANDS ARE THE DEVIL'S PLAYTHINGS, IDOL HANDS ARE GOD'S INSTRUMENTS; USING OUR GIFTS IN A SELFLESS WAY TO GIVE BACK TO THE WORLD WE LIVE IN." Idol Hands is a registered 501(c)3 with the primary function of developing and organizing collaborative mural art projects that provide opportunities to share in the artistic process and create an uplifting focal point. 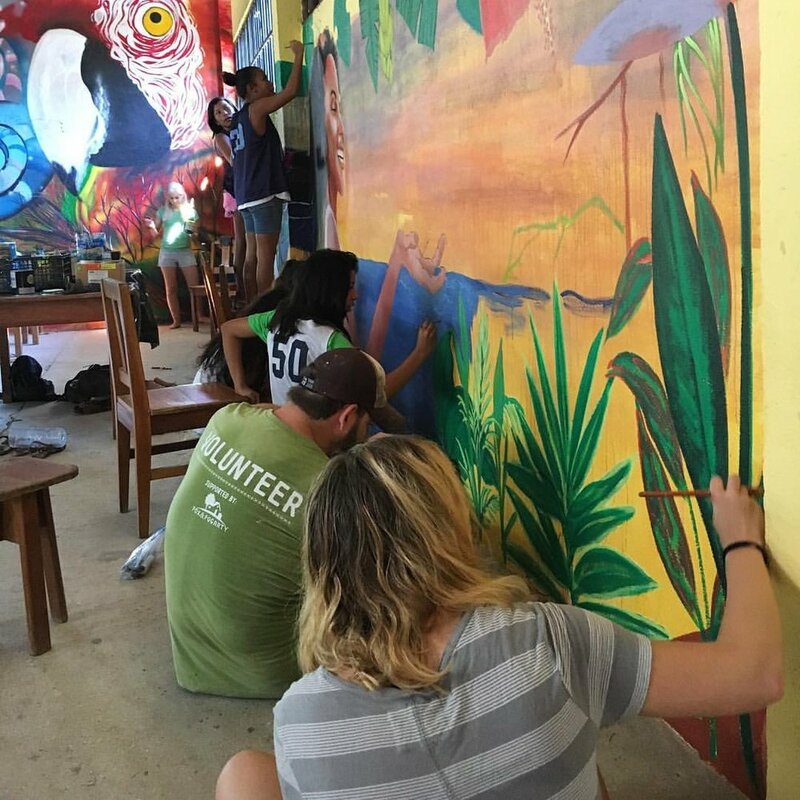 Partnering with organizations around the globe, Idol Hands is dedicated to making the world a more beautiful place, one wall at a time. "It's not about teaching people to paint. It's about bringing people together and making life more enjoyable for all. Having something pleasant to look at inspires peace of mind when the rest of the world is bringing us down. Breaking away from our normal activities to stop and be creative offers a type of therapeutic meditation that can be difficult to achieve in our daily routines. I hear it all the time - from patients, family members, faculty, students, and others who have participated in an Idol Hands project - they say it is the highlight of their day, week, or sometimes more. For some it is the first time they are given an excuse to speak to their neighbor, their classmate or the family down the hall that is going through the same hardships. Art is often mistaken for a frivolous thing; even I have battled with the notion that what I do is entirely superficial. But I continuously witness the real effects the creation and appreciation of mural art has on individuals and their communities. 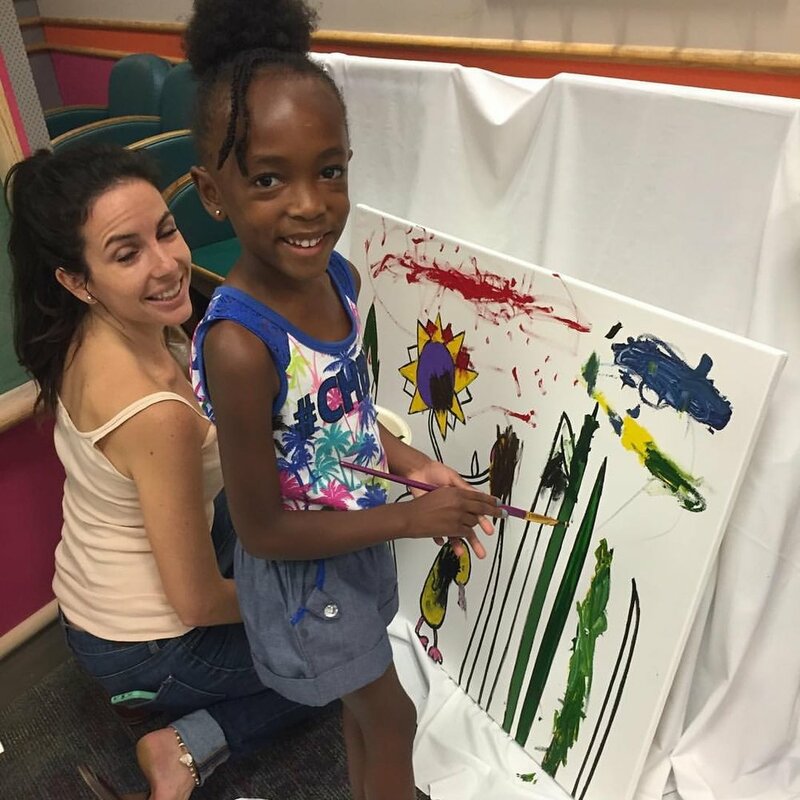 For families who spend the majority of their days in the hospital caring for loved ones, having an opportunity to participate in one of these projects offers a brief solace and a chance to leave a small part of themselves for other families similarly situated to relate to and take comfort in. As for the patients, I am still searching for the words to describe the transformations I've seen in them while engaged in the creative process. After enjoying the process of painting murals for years on my own, I have taken on the work to share this joy with others. By uniting people in the process these projects build a greater sense of community, a feeling of camaraderie. In the end, the result is not only a work of art for viewers to delight in, but a lasting reminder for those involved of the time they shared painting, bringing them back to that peaceful state of mind. That is what it's all about; it's about creating community, one that works together to make a more pleasant environment for all." To bring a project to your organization or for further information E-mail us.